I need to catch up on some tags, so I decided to tackle two in the same post today (my efficiency is at an all time high)! I was tagged by Joey @ Thoughts and Afterthoughts to do the How I Read Tag and Alyssa @ Alyssa is Reading tagged me to do the TBR Book Tag. Since these are both related to reading and reading habits, I combined the two in one post! There are a couple of ways I find out about new books. I flick through publicity catalogues put out by publishers to see what new books are being released in the coming months. I also get a lot of great recommendations by reading Top Ten Tuesday posts and book reviews. I also use the Listopia function on Goodreads and I always check the side bar on Goodreads to see what their recommendations are. I’ve always read a lot from a young age so I don’t really know how I got into reading. I stopped reading when I was doing my undergraduate studies at uni because I was always busy. I got back into reading this past year after discovering Booktube and I now have a more relaxed schedule that allows me to do whatever the heck I want with my time. I don’t think my reading tastes have changed that much to be honest. I read a lot of YA contemporary novels when I was in high school and that’s still my preferred genre. I read a lot more literary fiction now and some of my all-time favourite books are literary fiction novels. I’ve been reviewing books on Goodreads for a while now and a couple of months ago I decided, why not start a blog so that I can reach a larger audience and have the opportunity to do book tags too? I also love to write and book reviewing actually helps me with getting my thoughts down onto paper quickly. HOW OFTEN DO YOU TAKE A SNEAK PEEK AT THE ENDING TO SEE IF THERE IS A HAPPY ENDING? I used to do this all the time. When I was in high school, I used to read the last couple of pages first before buying a book, to make sure that the ending was satisfying. But now I never look at the ending or even skip ahead when I’m reading. I also try to keep my TBR books in a separate pile on my bookshelf so I that I can just grab one from the pile. My TBR is mostly print. I don’t read a lot of eBooks, unless they’re eARCs or ones I downloaded for free on iBooks. I try to read ARCs as close to their release dates as possible and I usually get those far enough in advance that I can schedule when to read them. So what I choose to fill in the gaps depends on my mood and what I feel like reading. I have no idea. There are books on my shelf that I bought 7-8 years ago when I was in high school… I have a lot of unread classics sitting on my shelf that have been collecting dust there for a long time. I received an ARC of The Lake House by Kate Morton from Allen & Unwin on Friday. I think this is the most recent book that I’ve added to my TBR pile. I pre-ordered Tonight The Streets Are Ours by Leila Sales a while ago and it should be arriving on my doorstep tomorrow. Plus, like I mentioned above, I’ve planned a book shopping spree for tomorrow morning… so we’ll see what my TBR looks like tomorrow, after I’ve spent like all my savings. 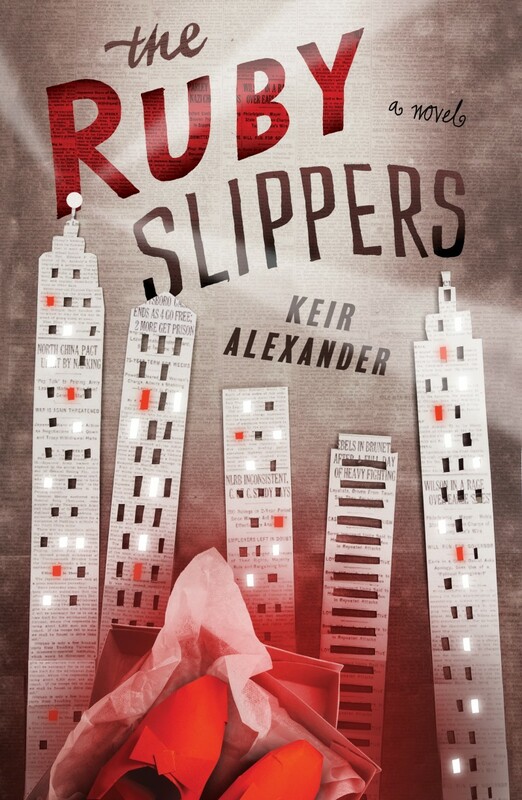 I bought The Ruby Slippers by Kier Alexander over a year ago because the cover was so pretty! The little red windows are actually shiny and it’s a stunning cover in person. This was definitely a cover-buy but the blurb really interested me too. Another cover-buy on my TBR is Consolation by Anna Gavalda. It’s got a beautiful red cover with two white doves. (Just so you know, I like other colours too. I don’t just pick up books with red covers, though they are really pretty). Les Miserables by Victor Hugo. To be honest, I don’t know why I bought this. I guess I was planning on reading it before the film came out, but it was just too intimidating. And I probably won’t ever pick it up. So… I mentioned above that I only consider books that I already own but have not read as my TBR books. So I guess, I’ll choose a book that I own an ARC of but hasn’t been released yet? For this, I choose The Heart Goes Last by Margaret Atwood. I received an ARC of this from the publisher a few weeks ago and I’m super excited to read it. It sounds like a really interesting dystopian novel. This will be released on September 24 in the UK and Australia, and September 29 is the US release date. Divergent by Veronica Roth. I’m actually not interested in this series at all. But I saw a US hardcover edition for $7 at a bookstore, and that was such a bargain that I had to buy it. I’ve been told that Insurgent and Allegiant are kind of crap, so I’ll probably only read Divergent (if I can ever motivate myself to pick it up). I’ve also been spoiled for the series so I have no interest in continuing past this first book. Most of the people I’ve talked to recommend only reading Divergent anyway. Everybody recommends Eleanor and Park by Rainbow Rowell. Eleanor and Park was the first Rainbow Rowell book I ever bought and now it’s the only one I haven’t read. I actually started it when I first bought it but real life got in the way and I had to put it down. I guess I need to pick it back up again soon since everybody recommends it to me! I think it’s also the one that I’ll probably enjoy the most out of all of her books, so I have no idea why I haven’t read it yet. I’m DYING to read The Raven Boys by Maggie Stiefvater. Everybody raves about The Raven Cycle and I want to start this series so badly. I’ve read The Wolves of Mercy Falls trilogy also by Maggie Stiefvater and I enjoyed it. So I’m keen to read something else by her! I have the three books in The Raven Cycle that have been released so far and I think I’ll marathon them later in the year, in November or December, so that I’ll be ready to read the last book in the series, The Raven King, when it comes out in February 2016. I have 117 on my Goodreads to-read shelf, but I have about 30 books that I haven’t shelved yet… so it’s probably closer to 150. It’s shameful. I know. I’m going to tag a couple of people to do either or both of these tags. Feel free to ignore me (as I’m sure you will even without me telling you) if you’ve already done these tags or have no interest in doing tags. Oooo I want to read a Kate Morton book because all the covers are so BEAUTIFUL! I don’t want to request a review copy quite yet though cos I AM SCARED I WON’T LIKE IT XD And I don’t want to finish reading it cos I feel forced to hehe. BUT SO PRETTY. I finished The Heart Goes Last the week before, it was INTERESTING? But to be honest all of the characters are 100% dirtbags. I need to continue with The Raven Cycle, I finished The Raven Boys like 4 years ago and I LOVED IT but for some reason I haven’t started reading the rest yet –I will need to reread the first though haha I barely remember anything. But Maggie Stiefvater is such a talented human being omg, she draws, she makes music, she writes, she paints cars, she sculpts, she paints LIKE WHAT CAN’T SHE DO? I actually won the Kate Morton book on Goodreads (don’t actually remember entering the giveaway). It’s a MASSIVE book. Probably around 600 pages… At least I’m not obligated to finish and review it phew. I don’t know how I feel about The Heart Goes Last. It sounds really intriguing but I have NO idea what to expect. I hope it won’t make me want to punch someone. I am excited to see what you think of the Kate Morton books, I hope they are beautiful on the inside as well cos I sorta want to buy them all whenever I see them! I think it’s best to go in not really knowing what to expect? Haha don’t worry Gansey dying isn’t a spoiler, they basically hint it like crazy from the first chapter of the first book haha. I knowwwww. I honestly don’t know why I haven’t read it yet. I’ve had Eleanor and Park for at least a year I think. I have read Divergent and Insurgent, but I’ve never summoned the energy for Allegiant. I think it just came in the thick of everything dystopia when we were all starting to get a bit burned out by the whole thing. I look forward to hearing your thoughts of Eleanor and Park, when you get to it. I love Rainbow Rowell. I can’t do that! I need to know at least what the basis of the story is going to be like. I’m pretty picky about that. Awesome answers! And thanks so much for tagging me! Oh good! Finally, somebody else who hasn’t read Divergent. I thought I was the only one left haha. My book buying spree was good but slightly disappointing too. I had a couple of books that I wanted to get and they weren’t in stock. I still ended up picking up a few really great books though. I haven’t read Divergent yet… but I am guilty of having seen the movie! I haven’t seen the movie yet but I might just watch them instead of reading the rest of the books. I heard that Insurgent was terrible though..
OH NO. D: I actually just bought the Divergent box set from BookOutlet when I bought ADSoM. Even if I don’t like it. At least they look pretty on the shelf? Oh I meant Insurgent the movie. Hopefully the books will be better. And yes they do look pretty!